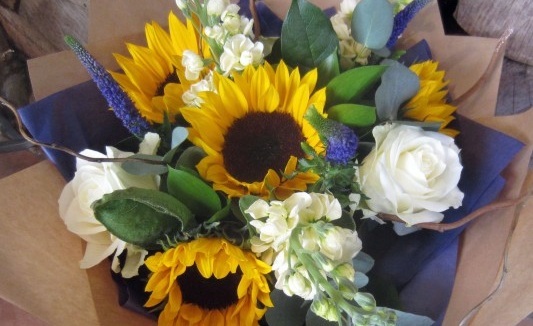 EDEN BLOOMS- The Trust would like to thank Hazel for her continued support of Nikki’s Trust in 2013, by donating £1 for every Mother’s Day bouquet sold. Hazel is also donating £10 for every wedding she does as well as promoting Nikki’s Trust at every opportunity, enabling Pete to promote and raise awareness of the Trust’s aims at a local Women’s business meeting . A £100 donation was received from the group which was very much appreciated. 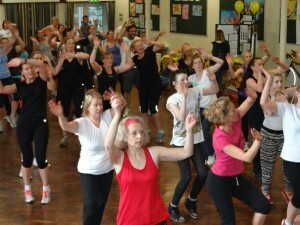 ZUMBA - In April as part of the fund raising efforts for the Paris to Farnham cycle ride, a charity Zumba event was held at Connaught School and led by Emma Lindsay. Over 80 people joined in the fun including Pete they were all put through their paces by Emma but were rewarded with tea and cakes, bubbles and a raffle. 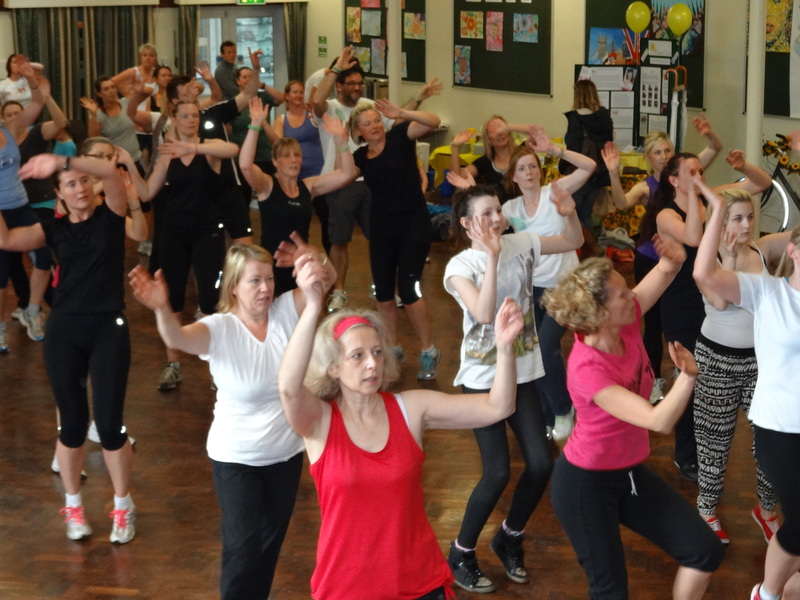 A total sum of £662.95 was raised by this fun event. We are hoping this could become an annual event watch this space and we will keep you posted. PARIS TO FARNHAM CYCLE RIDE – Nikki’s parents and members of the family undertook the London to Paris cycle ride with a difference. They wanted to ride from Paris to Farnham being Nikki’s home town and to have the support of all family and friends to meet them at the finish line. The journey was planned to ensure that they did the same mileage as if they were doing the London to Paris ride. The ride was organised so that they arrived back in Farnham on what would have been Nikki’s 35th Birthday. The cyclists did brilliantly aided by the fantastic support of Gill, Pete and Chris and they raised the fantastic amount of £3,194.95. Nikki’s Tea @ 3 – On Saturday 18th May family and friends around the country and across the seas held afternoon tea parties in support of the Trust. There was tea for two and tea for many. Nikki’s old work colleagues had wine instead of tea we think Nikki would have approved of this. 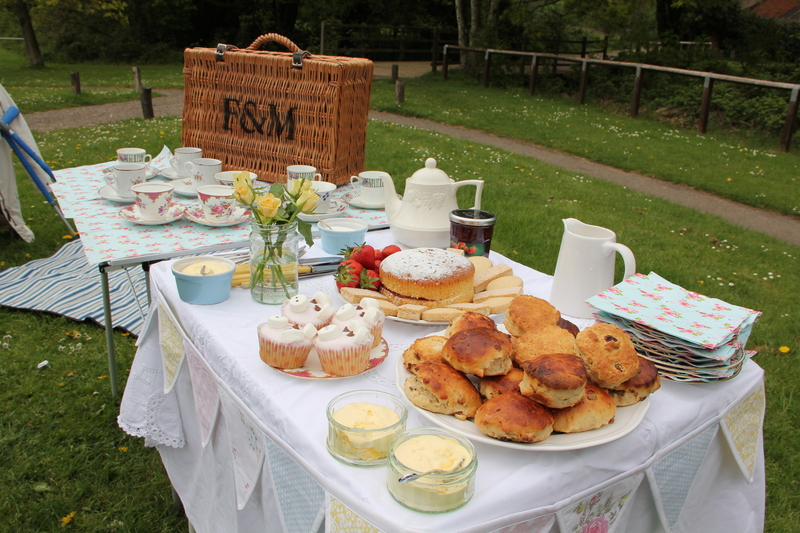 The Trust was even supported in Australia where Nikki’s school friend Emma held a tea party. 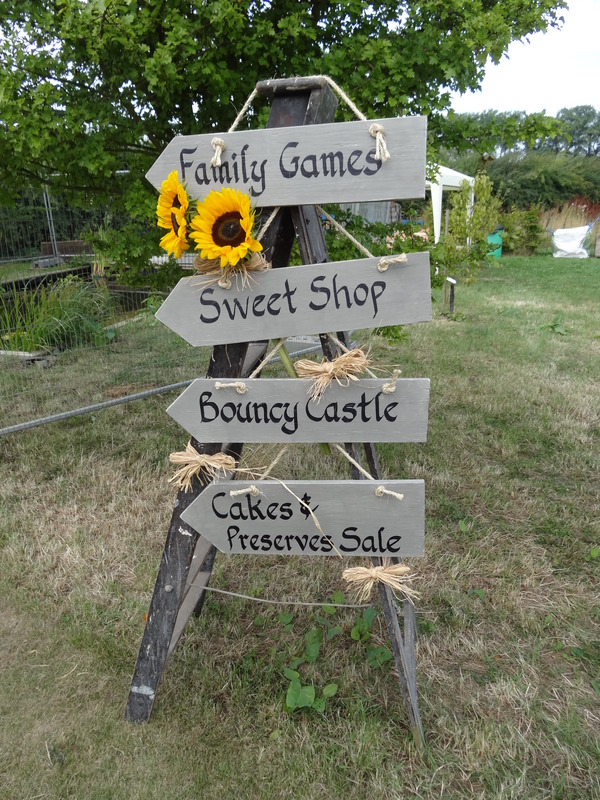 Scones and homemade cakes were served, raffles held and the fantastic sum of £ 2,371.88 was raised by everyone who enjoyed celebrating and remembering Nikki on this special day. 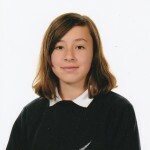 MEGAN AND HER BEAUTIFUL HAIR – Megan Nikki’s 12 year old cousin was sponsored to have her hair cut in aid of Nikki’s Trust. 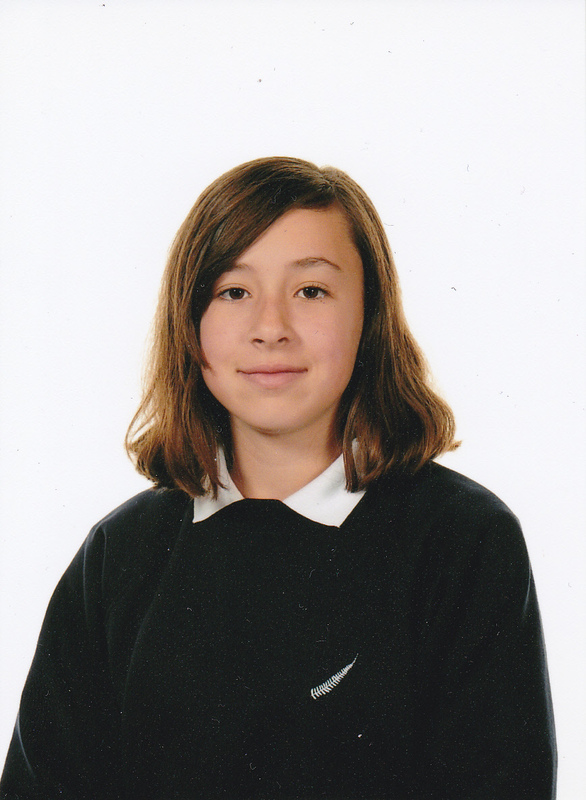 She was able to have 12 inches of hair cut off in August which was donated to The Little Princess Trust who make wigs for children suffering from cancer. Megan raised £279 for the Trust. FAGGFEST – Our second Faggfest music event held at the Mill Tower in Kent marked the second anniversary of losing Nikki. It was another fantastic day with music from 2.00pm till 12.00 am our very own VIP teas or takeaway cream teas, followed later by Hogg Roast. 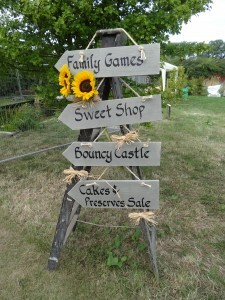 There were stalls, selling cakes, jams and sweets, bouncy castle, games and much, much more. But the best part was the fly past by the Red Arrows who flew low over the Mill with their smoke on all just for Nikki’s Trust AMAZING. Again another successful fundraising event for the Trust a total of £2,716.98 being raised. Many thanks to all who helped and attended this event. WINDMILL WALK- This final fundraising event of the year for the Trust was arranged by Yvonne Nikki’s ex boss from Compass in Hull. 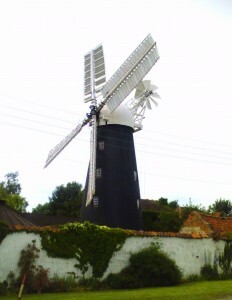 10 people walked 10.5 miles in pink knickers (even the boys) between two windmills in the Hull area. A final total for this event will be available shortly. Many thanks again to all involved. So as you can see this has been a very successful fundraising year for the trust with many people getting involved helping to raise awareness of the trust its aims and objectives. To meet these aims the trustees have met with Sally Anderson from Public Health England (P.H.E.) (previously Department of Health) on two occasions and continue to work towards our aim of getting a DVD and information resources into schools (and onto the web) to increase knowledge and therefore improve the uptake of the HPV vaccine. The trustees and the P.H.E. are continuing to research and identify the best ways of achieving these goals. To this end we need to ensure that the approach we are taking is the most effective and appropriate for the child and their parents. Another meeting is arranged for the end of February 2014 to discuss the way forward. Following a meeting in August with Dr Andrew Davies FRCP (Clinical Director Supportive and Palliative Care Royal Surrey County Hospital/ St Luke’s Cancer Centre). It was suggested by Dr Davies to sponsor a study day focused on cancer related pain this would maximise the Trust funds and to have the biggest impact. The management of Nikki’s pain was one of the most difficult part of her illness for her and the family to deal with. Therefore, the Trustees had no hesitation in supporting this event. The Study Day ‘Interventional Techniques for the Management of Cancer- Related Pain’ will take place on 18th February. Pete will have the opportunity to talk at the study about the reality of seeing someone suffering with ’unrelieved cancer pain’. For more detail click here. The Trustees and all at Nikki’s Trust thank you for your ongoing support and look forward to keeping you updated in 2014.